Modern Fence Holding, based in New York City, is the exclusive East Coast representative of FANCY FENCE, a unique and innovative retractable gate system imported from Europe. We are looking for partners, installers and dealers in ALL States East of the Mississippi River to work with us to bring this product to market. This is a unique opportunity for select, established firms like yourselves to increase your profits, expand your reach, establish exclusivity over a market and to bring to your customers a product that no one else can produce. The FANCY FENCE system is made up of a retractable driveway gate, an invisible walkway gate and simple, modern fencing. Our goal is to provide our customers with the feeling of privacy and safety. At the same time we would like them to remain open to the world around them. We want to keep our products simple as this guarantees trouble-free operation and timeless design. The FANCY FENCE patented system is based on well-known fence and gate components that have been in use for a long time. In our system, they have just been put together in a unique way. The FANCY FENCE system is made up of a retractable driveway gate, an invisible walkway gate and simple modern fencing. 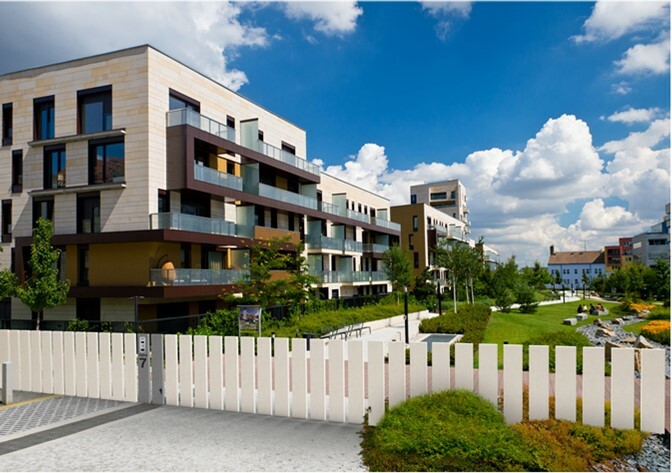 The FANCY FENCE system is a turnkey solution made of the following elements or any combination of them: Steel Posts in custom finish, HPL Sheets giving a varied width fence wall design, Agglomerated Quartz Slabs for a look of permanence. In addition, we recently added the capability to include Tempered Glass Panels for retractable pool fences. The FANCY FENCE system is fully explained and detailed on the corporate website, below. We would invite you to review it and view the videos showing the product in operation. If you would like to work with us, please fill out the form below and click submit! We believe this is a great opportunity to deliver a great product for new and existing high-end residential and commercial customers and we would be happy to talk to you. If your website doesn't provide information regarding the size of your company, in regards to your work force or in regards to your production, please inform us here. Frankly, we are looking for medium to large size companies, who are well manned and already productive. Links to Reviews of Your Work. Geographical Areas You Are Working In. Your position within the company? If you are neither an owner, partner or investor, please tell us of your position and your responsibilities. If you already have plans or ideas on how you would implement the Fancy Fence System, we would be happy to hear them. Do you have questions regarding the Fancy Fence System? How did you hear about Fancy Fence? We'll do our best to keep you informed about advances, pending and completed installations.